A combination container/roll-on/roll-off ("ConRo") vessel, the Marjorie C is the only one of its type to ply the Mainland/Hawaii trade lane. The 26,000-ton vessel was engineered from a proven design by Grimaldi in Croatia at Uljanik Shipyard and is the largest ever built at VT Halter in Pascagoula, Mississippi. 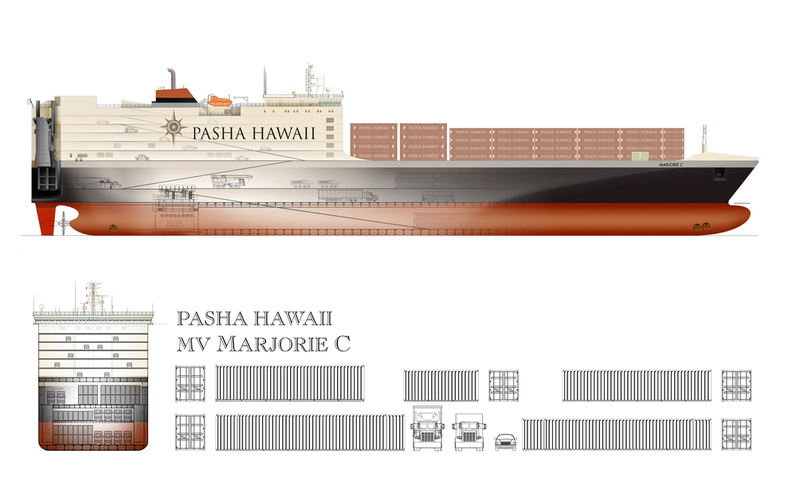 Pasha Hawaii added Marjorie C to not only offer increased Ro/Ro service to existing customers, but to diversify our service offering by expanding our container capabilities and frequency of service. Oversize cargo space: 104,000 sq. ft.